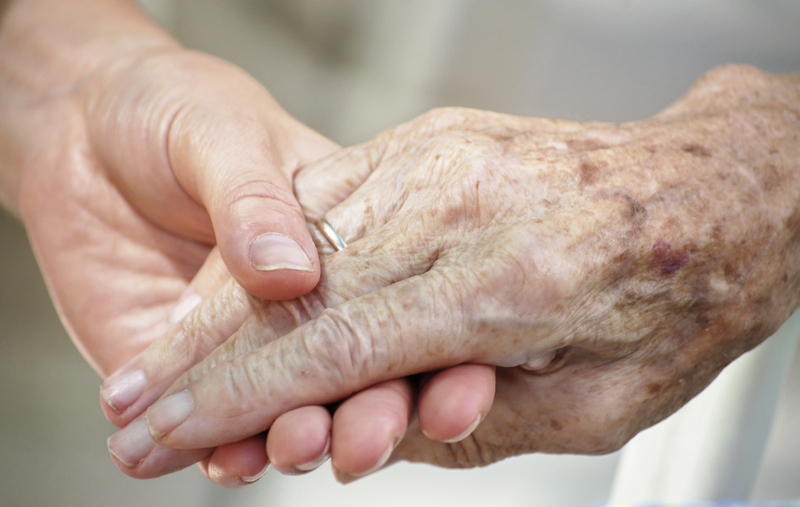 Can a Geriatric Care Manager or Social Worker Be a Midwife for a Good Death ? Atul Gawande’s breakthrough book, Being Mortal tells us the ultimate goal, after all, is not a good death but a good life to the very end. Elizabeth Kubla- Ross tells us the death is really in parts called five stages. A Care Manager or Geriatric Social worker can be a midwife through these five stages to a good death, reaching towards joining the ultimate midwife team, hospice. The Acceptance phase of death occurs when people finally are able to cope with the mental, social, physical, religious and financial effects of their disease, a heavy load In the disease process and acceptance process, this is the period of time after a medical procedure such as chemotherapy, radiation or surgery. The client’s response to treatment is being monitored. Recovery does not always mean remission, but instead, it is the ability to accept and deal with the struggles of their illness. William accepted his coming death while in the hospital. He had 4 physicians’ who were treating him aggressively for renal failure with dialysis. He was 93 and refused to sign a DNR. The doctors discovered what they thought might be a tumor. However, they were afraid the biopsy procedure would be too radical for his age. So they kept up the dialysis. The care manager appealed to the nurses for help when the physicians would not intervene. A nun appeared – it was a Catholic hospital- and said, ” the nurses called me to go around this problem. Talk to the head Dr. about ordering palliative care.” The Care Manager did. Sure enough, after the care manager talked to him that physician ordered palliative care. Then one by one one the 4 physicians came to Bill’s bedside and talked softly, asking him to accept that he may have cancer and the biopsy could not be done. The last, a gentle urologist, held his hand and talked of letting go and accepting he would die. He agreed to stop the dialysis. Bill accepted his death reluctantly wanted to live to watch his 3 great grandchildren grow. The urologist ordered palliative care and Bill changed the DNR with the help of his son. Hospice met with the family and all agreed to move William to the son’s home with 24-hour care and hospice to die. Atul Gawande’s Being Mortal has been made into a PBS Front Line film. It features the writer and physician who took the message the hospice movement began and exploded it into the media. His very viral thesis is that death does not have to be a medicalized model and indeed most physician’s are not at all trained to deal with either chronic care nor increasing the quality of life of death- just in treating and measuring it with tests. Care Manager’s are trained in increasing the quality of life of the chronically ill and believe in bringing joy back into the everyday moments of elders. They understand that the dying can and should have a rich quality of life and are positioned so well to help chronically ill clients transition through the 5 stages of dying. of readers how quality of life and human interaction while dying trump the quantify of years gained through questionable painful procedures and dying in a institution. GCM Nina Herndon brings you that same quality of life message- about dying –where an elder can still live the end life with joy. 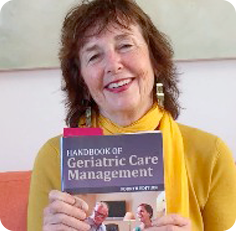 Her new chapter “Supporting Clients’ Quality of Life: Drawing on Community, Informal Networks, and Care Manager Creativity” in the 4th edition of Handbook of Geriatric Care Management is a geriatric care management Nina has devoted her career to giving elders a care plan for a happy life and a happy life to the very end. •br Bringing joy in the here and now. to death and dying this can be done through using quality of life tools- Spiritual, emotional, intellectual, creative and physical quality of life tools .Find out more by getting both books on Amazon. What Does Atul Gawande Have in Common With Geriatric Care Management? questionable painful procedures and dying in a institution. GCM Nina Herndon brings you that same quality of life message- not about dying -but living an elder’s life with joy. 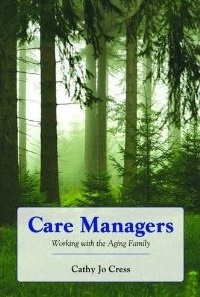 Her new chapter “Supporting Clients’ Quality of Life: Drawing on Community, Informal Networks, and Care Manager Creativity” in the 4th edition of Handbook of Geriatric Care Management is a geriatric care management breakthrough.. Nina has devoted her career to giving elders a care plan for more happiness . She teaches care managers that bringing quality of life to an elder is more that physical comfort .It’s bringing joy in the here and now through using quality of life tools- spiritual, emotional, intellectual, creative, physical, environmental, and vocational, well-being. The Handbook’s 4th edition with Nina’s chapter will be available November 1.